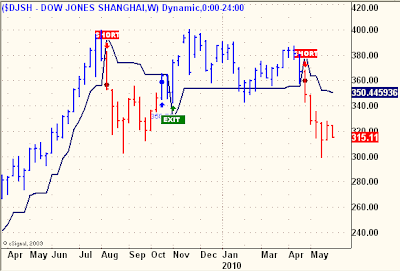 The SELL came the week of April 26 at about 350 on the index and in the past four weeks the Index has dropped about 10%. 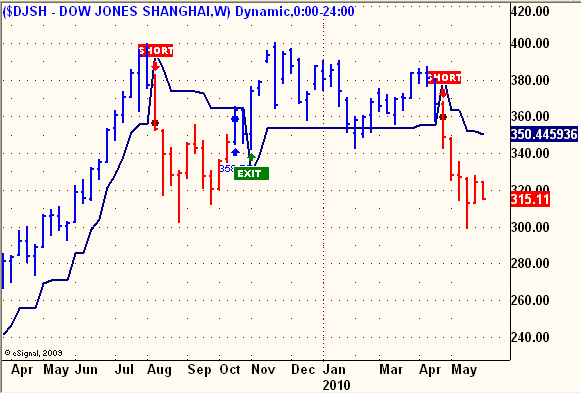 This is a Monthly version of the Shanghai Index which itself is now on the verge of a Monthly Trend Sell Signal. You can see that if the trend line goes, the next level of support is around the late 2009 lows, just under 200 on the index, or about 35% below current levels. 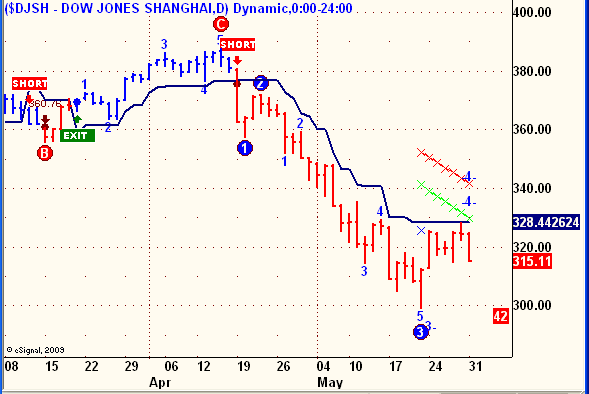 The Daily trend is suggesting a drop below 300. The monthly reversal is at 296, meaning any monthly close below 296 triggers the Monthly Trend Sell Signal. 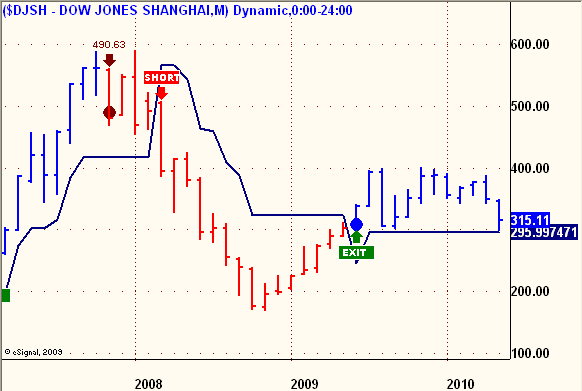 Ergo, the scariest chart in the world, part two. Wish I was a Kellogg's Cornflake, Floatin' in my bowl takin' movies. FWIW - I just saw that they now have options available on the VXX! I'm certainly not an expert in any capacity. I only learned to count elliott waves last year. I only know the basic chart patterns,but if I'm not mistaken, I see one you didnt acknowledge. its a giant cup and handle on the monthly chart. big as the range may be from 400 down to 300 ...but thats the handle. If that isnt a classic cup and handle pattern, then I dont know what one looks like. The cup and handle is very bullish. and the target is a retest of the 600 top. it would have to go to 600 before u call it a cup. 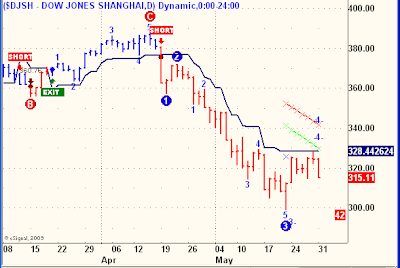 the idea of the pattern is not its geometry but the bulls regaining back the power (stock has to bottom and reverse to form the cup) and capable to drive the price back to the prior high.